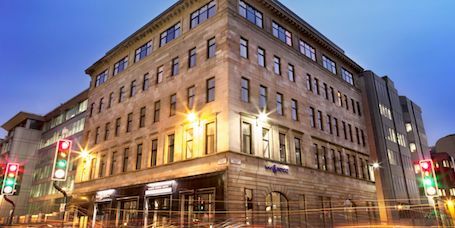 Maven Property, the property arm of Glasgow-based private equity firm Maven Capital Partners, said it completed the £14.5 million sale of the four-star Hotel Indigo in Glasgow’s Waterloo Street to Heeton Holdings, a Singapore-listed real estate conglomerate. “The structure of the transaction includes the sale of the freehold interest in the hotel to a ground rent fund and of the resultant long leasehold interest to Heeton, which has acquired the trading business and goodwill of the hotel,” said Maven. Maven investment director Ramsay Duff said: “This historical landmark building is located in the heart of one of the UK’s most vibrant and cosmopolitan cities. “Maven has a strong commitment to Glasgow, with our headquarters here and with two other hotels including our recently opened ibis Styles Glasgow Centre West. “The city remains one of the best performing hotel market in the UK, however there have been relatively few hotel transactions in the city and it has been gratifying to see the level of interest in the Indigo. “We are delighted to have completed the sale, which has delivered attractive returns for investors, in part by the way we structured the transaction. JLL Hotels, Cushman & Wakefield and Macbeth Property Consultants advised Maven Property on the sale, and Harper Macleod acted as legal advisor.